Tempted to sell your classic at auction? It’s easy to see the appeal, with potential buyers bidding against each other to give you a decent price, while you enjoy a quick and hassle-free sale. As ever though, you need to read the small print – particularly if you want to withdraw your car prior to the auction. So who is at fault here? The car owner admits that he should have studied the auctioneer’s terms and conditions before withdrawing his car from the sale – but does that mean the auction house’s charge is fair? To find out how the UK’s classic car auction specialists deal with such situations, we studied their websites and called some experts. In the case of Brightwells, the official line regarding early withdrawal is as follows: 'If the seller does so prior to the publication of the catalogue, he shall be liable to pay Brightwells 7.5% or an amount equal to the commission Brightwells would have received from the seller if less than 7.5% of the estimated value of the lot'. In other words, you could be liable for a charge of 7.5% (plus VAT, remember) of your car’s estimated value, in addition to the £150 (plus VAT) that Brightwells charge you as the initial entry fee. However, a spokesperson for the company confirmed that such charges are at the discretion of Brightwells and may depend on individual circumstances. Bear in mind that when selling your classic, the auctioneer charges both a seller’s commission and a buyer’s premium in the event of a successful sale – and many auction houses insist in their terms and conditions that both fees are chargeable if you withdraw your vehicle from auction. We spoke to Matthew Whitney of Charterhouse, who confirmed that a vendor can be liable for both the 6% vendor’s commission and 10% buyer’s premium (based on the pre-agreed reserve price) in the event of withdrawing from the sale. However, this is on the assumption that the company has already carried out the marketing of your car, has advertised it, promoted it and listed it in the catalogue, all of which obviously has a time and cost implication. If withdrawal is done early on in the process, or the car is likely to be entered in to a future sale, then Charterhouse – like many of its rivals – will use its discretion. 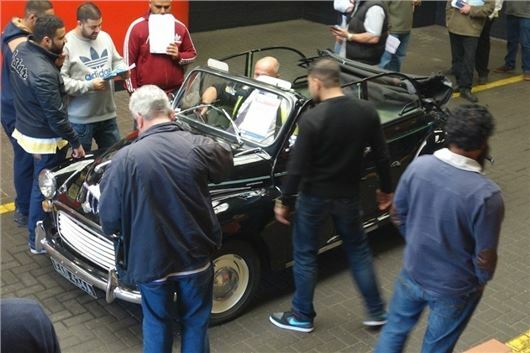 As for Anglia Car Auctions, the terms stated on the website are equally straightforward: 'In certain circumstances such withdrawal may be allowed on payment, by the vendor, of commission at the rate of 10%, this charge being based on the reserve price'. As we found elsewhere, however, ACA will use its discretion in the event of a genuine reason for withdrawal, such as bereavement or the unexpected loss of a vehicle. So what’s the lesson we can all learn from this if we’re thinking of entering a classic into a sale? Simply to study the small print, thoroughly reading the terms and conditions of the auction house you’re thinking of dealing with. And if you can’t find any reference to early withdrawal in the company’s terms, contact them and ask for confirmation of their policy. Are such charges fair? As auction houses spend a great deal of time, money and effort promoting, advertising and cataloguing vehicles for auction, as well as incurring the costs of hosting the sale itself, they’ll argue that they have to cover costs if vendors decide to withdraw their cars. Just make sure you understand the full implications (and the potential bill you might face) before entering your vehicle into any sale.